This is Part 2 of a series on improving law enforcement interactions and outcomes with the mentally ill. Part 1, “Successful Social Worker Partnerships,” in our Sept/Oct 18 issue, covered options for collaborating with social workers for mental health-related calls. 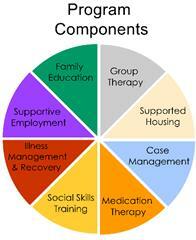 Part 2 examines the possibilities for successful outcomes that lay within diversion programs. 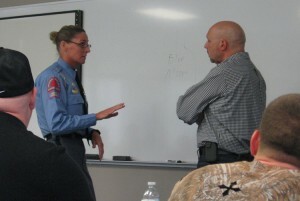 Law enforcement agencies continue to seek better programs and tools for successful interactions with — and outcomes for — the severely mentally ill, in order to ensure the safety of officers and civilians, to reduce strains on police resources, and to help divert the mentally ill away from the criminal justice system and toward medical treatment. inability to pay such costs as copays, uncovered treatment, or providers who don’t take insurance. Once released from jail or prison, without easy access to continued care, those with mental illnesses commonly relapse and end up back in prison. As MHA states, “Reliance on the criminal justice system to provide treatment . . . is almost certainly counter-productive. Adding the stigma of criminal charges and conviction makes it even harder for persons burdened with the substantial stigma of mental illness to find or maintain meaningful employment, find decent housing, and pursue meaningful recovery.” These issues are significant not only for former inmates but for their families, communities, and law enforcement. Crisis Intervention Teams (CIT) are considered pre-booking diversion programs that are meant to “increase safety in encounters and when appropriate, divert persons with mental illnesses from the criminal justice system to mental health treatment,” as stated by Amy Watson, PhD, and Anjali J. Fulambarker, MSW, in their research report for the National Institutes of Health. faster mental health-related response rates. The development of the Memphis model was not without difficulties arising among its stakeholders. Some CIT stakeholders still struggle with the same trust issues that the Memphis task force faced. According to Watson, while structuring the program “it became abundantly clear that law enforcement and mental health providers . . . did not trust each other. Providers felt that police officers lacked understanding of mental illness and would often exacerbate crisis situations. Police officers were frustrated that hospitals often would not provide care for people that they transported who were clearly symptomatic.” By continuing to work together, each obtained an understanding of the other, which helped lead to the model’s success. At the core of a CIT program are 40 hours of specialized training for officers who have volunteered and are then selected to become CIT officers. According to Watson’s NIH report the imperative is not how many CIT-trained officers an agency staffs; instead, the key is to train the right officers for the program. Some people have a “particular disposition and interest in handling mental health calls. This better prepares them to use CIT training to become effective,” stated Watson. MHC graduates are 55% less likely to be charged with a new violent crime, compared to those not in a program. 1 Throughout this article, severe or serious mental illness refers to schizophrenia and other psychotic disorders, bipolar disorder, and psychopathic personality disorders, unless otherwise noted. Broner, N. et al. (2004). Effects of Diversion on Adults with Co-Occurring Mental Illness & Substance Use: Outcomes from a National Multisite Study. Behavioral Sciences & the Law. 22(4):519-541. Bronson, Jennifer, PhD & Marcus Berzofsky, Dr PH. (2017, Jun). Indicators of Mental Health Problems Reported by Prisoners & Jail Inmates, 2011-12. Washington, DC: Department of Justice, Bureau of Justice Statistics. Retrieved from https://www.bjs.gov/content/pub/pdf/imhprpji1112.pdf. Mental Health America. (n.d.). Position Statement 53: Mental Health Courts. Retrieved from http://www.mentalhealthamerica.net/positions/mental-health-courts. Ramsey, John. (2018, Mar 6). How iPads Changed a Police Force’s Response to Mental Illness. The Crime Report. Wilson, Amy Blank et al. (2011, Jul/Aug). Examining the Impact of Mental Illness and Substance Use on Recidivism in a County Jail. Abstract. International Journal of Law and Psychiatry. 34 (4) 264-68. Retrieved from https://www.sciencedirect.com/science/article/pii/S0160252711000641.